"Moosehead Lake, Maine, Yacht Club, Mt. 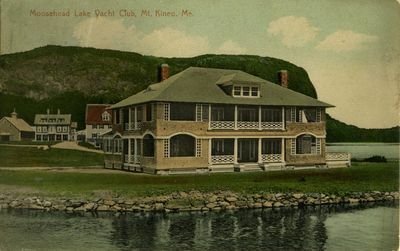 Kineo "
A postcard depicting the Mount Kineo Yacht Club on the edge of Moosehead Lake. The date of the postmark on the back is 1911.